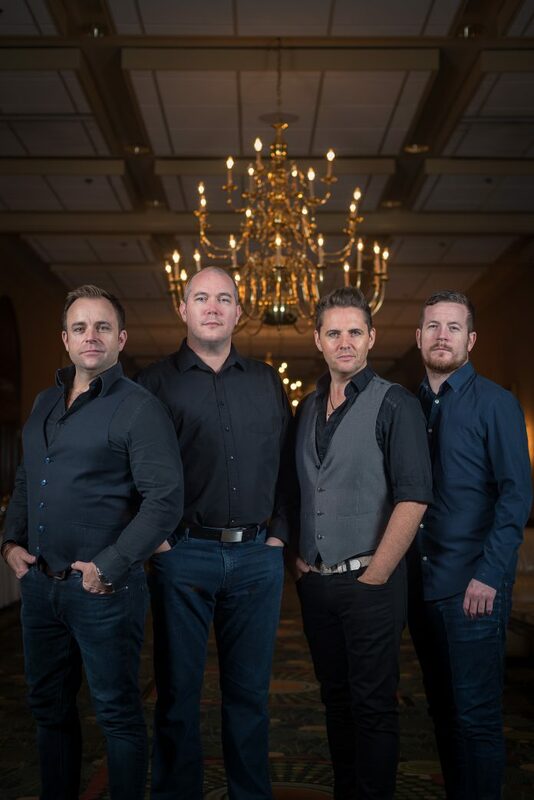 INTERNATIONAL STARS: The High Kings, who have sold out shows worldwide, will be performing in Sligo this month. Following the worldwide success of their “Best of” collection entitled “Decade” The High Kings are currently on an 18 month World Tour and they make a welcome return to Sligo with a concert at Sligo Park hotel on Saturday April 21. Tickets are currently on sale from Sligo Park Hotel, Ticketmaster.ie and Liber Bookshop, O’Connell Street, Sligo. Almost ten years ago, four Irish singers, performers and songwriters decided to take a calculated risk. The constituent parts of The High Kings – Finbarr Clancy, Brian Dunphy, Martin Furey and Darren Holden – each had a wealth of history in the music business behind them, but knew that in order to maintain any level of creative interest they would have to boldly go where no other Irish ballad group had gone before. In truth, back in the mid-late Noughties, Ireland needed a group like The High Kings. The heyday of ballad groups such as The Clancy Brothers and The Dubliners was a distant memory for generations of music fans, and to have another bunch of Irish lads taking up the baton and continuing the tradition was great news to thousands of fans worldwide. “We could sing well, play our instruments well and harmonise well,” says Darren Holden, humbly underselling somewhat the numerous skill sets of the individual members. “People were looking for guys with character, presence – not just cardboard cut-outs – so the respective experience we all had wasn’t just helpful but essential. The four members immediately knew that something special was taking place (“we knew within the space of a few songs that there was magic”), and within months had clicked as a creative unit as well as friends. The self-titled debut album, released in 2008, reached a highly impressive number two on Billboard Magazine’s World Music chart. To say that The High Kings are charting a new course for Irish ballad music – equal parts rousing and reflective, energetic and insightful – is an understatement. They are, essentially, marking out a new and bright era for Irish folk music, and aiming to bring a broad demographic along for the journey. The High Kings have vowed to continue for another decade following the departure of Martin Furey in August 2017, and their first ‘Best Of’ collection ‘DECADE’ had a global released in November 2017. The High Kings World Tour visits Sligo on Saturday April 21st. Tickets are currently on sale from Sligo Park Hotel, Ticketmaster.ie and Liber bookshop o’Connell Street Sligo.